shiny bells and whistles on the outside may not reflect the quality of the product on the inside. For instance, most travel safety apps offer executive tracking support such as check-in times and emergency assistance. If an executive runs into a problem on the way to the hotel and can’t check in, they may need to use the emergency assistance feature. What if the problem is an angry protesting mob blocking a main street? That moment will determine whether the HR manager has chosen a high quality travel safety app or not. When an executive is in peril overseas, the emergency assistance plan must go beyond the low-quality support of pushing a button and sending an email. Time is crucial and VIP’s in trouble need to speak to a real person, immediately. IMG, the Incident Management Group, combines new technology with human support. The Fonetrac travel safety app offers features offer smarter UI and a 24/7 security expert who answers the phone when a VIP needs them. Real life emergencies overseas don’t allow employees to sit on “hold.” Immediate action to global threats are varied and require a security professional to guide them through. The Fonetrac system has been developed by professional security experts with twenty years of international experience. The Fonetrac travel security app combined with the GlobalSecur system helps overseas employees with any level of support required. If a VIP is late with a hotel check-in, Fonetrac can send an email, or call the employee directly to confirm their safety. If the executive presses the Panic Alert button, on-the-ground security forces respond immediately. Security expertise is executed by real people in real time. 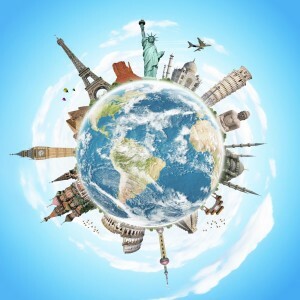 Global business travel continues to gain in popularity. World-wide threats to travelling employees are also on the rise. Allowing a VIP to sit “on hold” due to a poor-quality safety app only creates an opportunity for criminals to act faster than the security feature. For each overseas business trip, HR managers need to consider the current threat to their employee safety. IMG believes that HR directors should “try before they buy” a travel safety app. A real human being available to discuss a company’s specific travel safety app needs is key. Call IMG for a FoneTrac Demonstration to see how front-end and back-end professional security should look like for your specific international travel needs.